If you’re writing a book you hope to see published, your words must serve the reader. Maybe it’s the story of a remarkable relationship. Maybe it’s tips about gardening. No matter what you are writing, it has to have value for the reader. So before you send your proposal or manuscript to an agent or editor (or before you send it to me to review!) imagine that the agent/editor/publisher will be reading your words with one question in her heart: What’s in it for the reader? What is the value, for the reader, in this book? When she finishes the first chapter, does she want to keep reading? When she’s really tired, is there a reason for her to keep turning pages? Does every sentence, every page, every chapter serve the reader? When she finishes, can she articulate the single important takeaway of the book? When the reader sets this book down, has she gained something from it that she wants to share with a friend over coffee? Does she want to buy a copy for her sister because the book had so much value? ls she able to apply what she’s learned to her own life? If the answer to some of these questions is either “no” or “I don’t know,” I want you to return to your word-baby and review it one more time through the spectacles of an agent or editor. Name the value–write it out–that the reader gleans from each chapter. If you can’t identify the takeaway value for the reader–the “payoff” for purchasing your book–then work at it until you can. Ultimately, “your” book is not about you. It’s about the reader. This post first appeared on Margot’s blog, Wordmelon. Conduct market research: Stroll through several local bookstores, flip through the pages of catalogs, and browse the websites of online book retailers to see what books are on the market now in the category of your book proposal. You will need to find about five comparable books to discuss in the Comparable Titles section of your book proposal. However, marketing research is helpful for you as you define what you hope to accomplish and cover within the pages of your potential book. You do not want to duplicate the work of another author. By reading what has been said by other writers about your topic, you can better understand what you have to contribute to the topic. Do not be discouraged from writing a book in a popular category. The existence of many books on the topic indicates a market for that subject. Set realistic deadlines: As you prepare to publish your book, you will encounter many deadlines. Within your book proposal, you will specify how long it will take you from signing a new contract with your publisher to handing in the first draft of the manuscript to the editor. A time period between five to six months is a good goal for completing a nonfiction manuscript. Make sure that you are confident you can complete the manuscript on time. Once you sign the book contract, break down the goal of writing the book content into smaller deadlines for yourself. Be sure to allow some margin for the interruptions and distractions that arise in the life of all writers. The sooner you finish your first draft, the sooner you can move on to the other tasks necessary for publishing your book. Set ambitious but achievable deadlines. Connect with key influencers: As I wrote about in an earlier post, “Finding Champions for Your Book,” many people will contribute to the future success of your book. 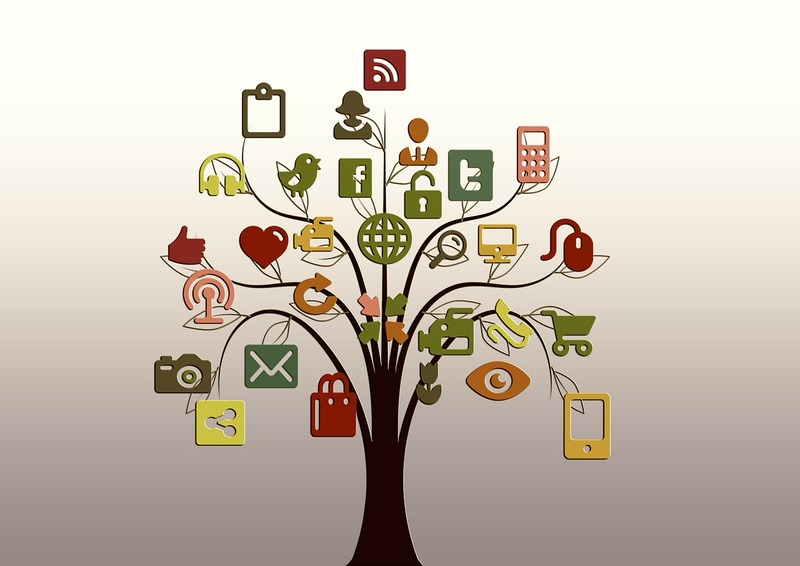 Hopefully, you already have strong relationships with many of these key influencers. Use the time from the beginning stages of book proposal preparation to the completion of the manuscript to strengthen existing relationships with champions for your book and forge new ones. Connecting with people will provide a welcome break from the tedium of writing. You will remember the purpose for your pursuit of your writing goals. You can sharpen your ideas by discussing them with a few trusted advisors. 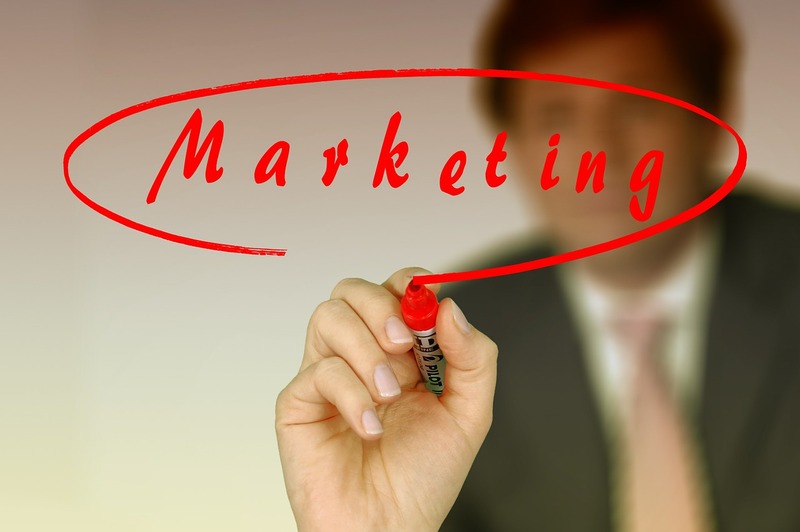 You will prepare yourself for the upcoming transition from writer to marketer of your own book. The sooner you prepare to connect with potential readers, the better for everyone involved in publishing your book. What do you consider as important stepping stones to writing success? Every sentence of your book proposal should have one person in mind: the reader. Whether you’re submitting it to an agent or an editor, that “first reader” will be holding the “ultimate reader” in her heart and mind as she reads. Your job is to meet the reader’s needs—both that first reader and the eventual one—by communicating efficiently and effectively. 1. Don’t get visually fancy. Elaborate fonts, colors and graphics distract. Use Times New Roman 12 pt font in a Microsoft Word doc or PDF. Rule of thumb? Keep it simple. High-fallutin’ intellectual language is only appropriate for academic books. More often, communicate using a conversational voice. 3. Write in the third person. Compose your proposal in the third person, as if your agent or a professional collaborator has prepared it—allowing you to brag a bit. 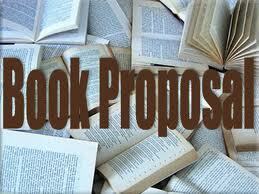 When a reader sets down your proposal, he or she can easily identify the premise of your book. Make the reader’s job easy; don’t use more words than are necessary to communicate effectively. Claiming every person always feels a certain way distracts reader by challenging her to search for an exception. “Most” and “often” are more effective. 6. Communicate value for the reader. 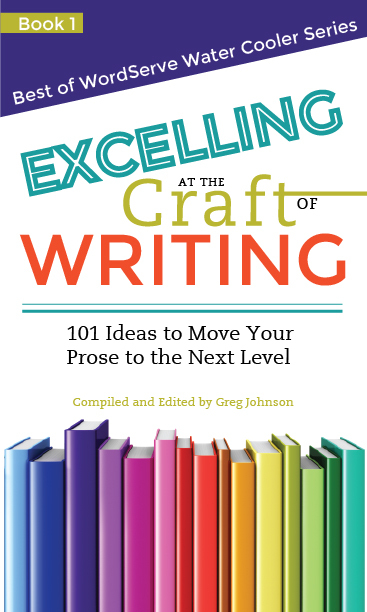 Throughout your proposal, make explicit the takeaway value for the reader who purchases and reads your book. Your working title suggests the book’s premise and the subtitle its promise. Avoid titles that are either too generic or too clever—both making the premise difficult to identify. 8. Prove you will market your book. Don’t just say you’ll help with promotion. Offer concrete plans you will put into effect. 10. Offer an error-free proposal. If you’re not paying for a professional critique, have a word-loving friend scour your final draft for grammatical or typographical errors. Three months into this marketing plan, I’ve been able to avoid a nervous breakdown, work on the edits for The Aleppo Code, and Kregel Publications is about to launch its spring marketing for the fall releases. Now is the time to pick up the pace. March – Contest: Guess two of the main scene locations used in The Aleppo Code. Some of the scenes in the first two books were The Collector’s Club and the Humanities and Social Science Library on Bryant Park, NYC; The Western Wall and Zechariah’s Tomb, Jerusalem; St. Anthony’s Monastery, Egypt; Cairn T, Loughcrew, County Meath, Ireland. April/May – Tie in with Kregel Back List promotions. June – Contest: What is The Most Powerful Weapon the world has ever seen? July/August – Unveil the cover of The Aleppo Code. September – Promote the coming E-Book promotion from Kregel. 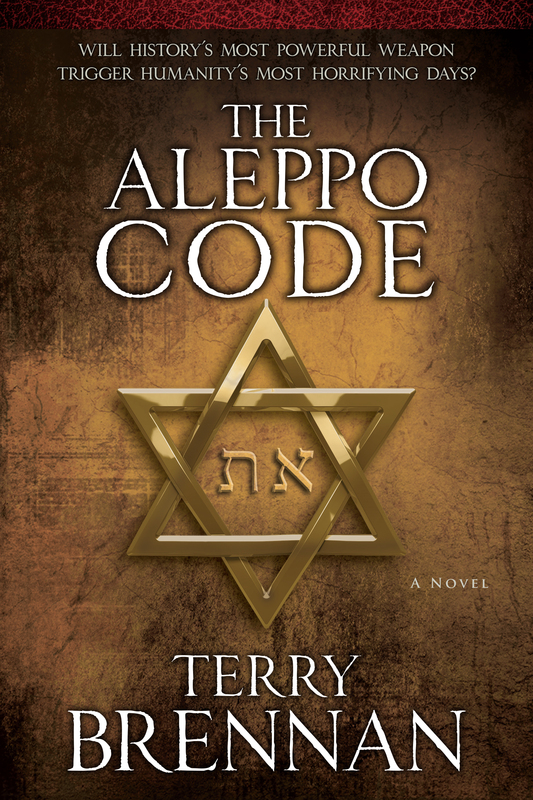 October – Launch date for The Aleppo Code – create some tie in to ‘Midnight Madness’ … at midnight of launch day, the first 12 people who send me an email get a free autographed copy of The Aleppo Code. Keep my website and Facebook Author page active and current. Engage services of a marketing consultant to increase my standing and visibility as an ‘expert’ speaker on events in the Middle East. In the summer, begin purchasing advertising on Facebook (Goodreads? Other outlets?) and discuss with Kregel and marketing consultant how to get the most impact and best results from these ads. As the launch date gets closer, recreate some of the Guerilla Marketing that I did in New York City prior to the launch of The Sacred Cipher … plaster subways and Metro North trains with The Aleppo Code postcards … when the books show up, visit every B&N in New York City area, hand out post cards, autograph the in-store books, talk to store staff about placement. In September/October schedule local speaking engagements/book signings including local libraries, churches, etc. Arrange in advance for on-line interviews and any other interaction I can have with bloggers, reviewers, podcast producers, etc. Continue to actively market the new series title – THE JERUSALEM PROPHECIES – in all possible outlets. A place we stumbled during the launch of The Brotherhood Conspiracy is that the reviewers on the blog tour were different than the ones used for The Sacred Cipher. Many of the early reviews started “I wish I had known this was a sequel …” For that reason, setting up an effective blog tour for The Aleppo Code is critical. Implement a Back-List promotion to drive people to book stores. Create E-Book promotion for both The Sacred Cipher and The Brotherhood Conspiracy prior to the launch of The Aleppo Code. I’ve learned a few things from creating this marketing plan and then trying to implement it. 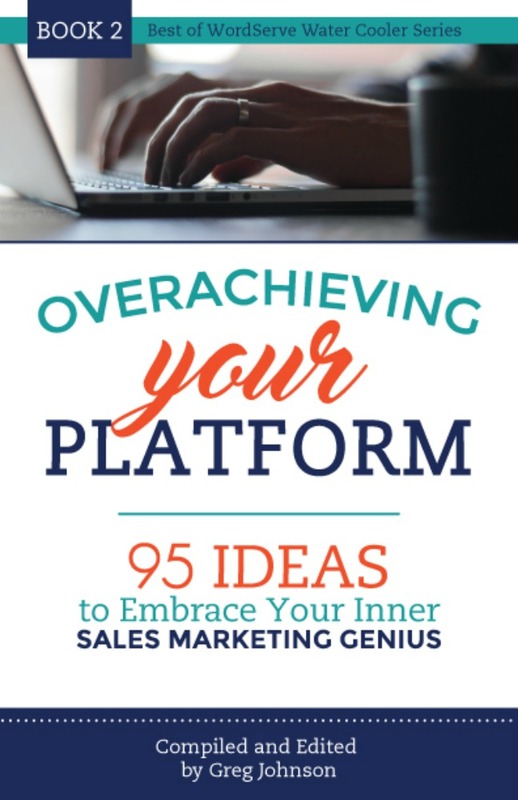 One, this marketing stuff takes a real commitment – and a lot of time. Two, it’s worth it. And, three, the work doesn’t end once the book is launched. Great … when do I get some sleep? Have you ever developed a marketing strategy like this? What was the most successful thing you did? I’ve never been much at the marketing side of this writing business … and I was born in the wrong generation to be adept at social media. But I knew I had to do something out of my comfort zone. 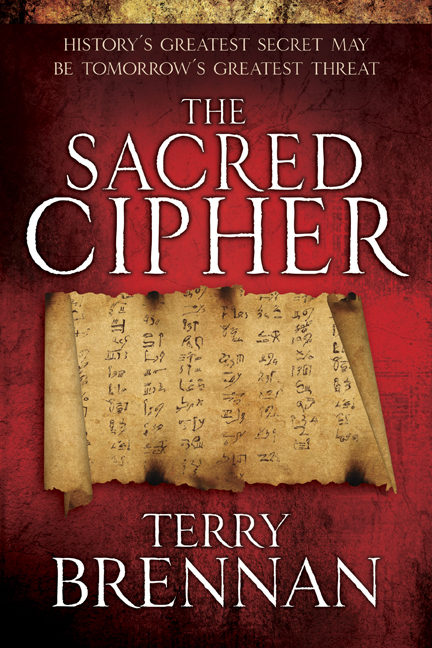 My first book, The Sacred Cipher, is still going strong after five years. Sales for its sequel, The Brotherhood Conspiracy, are disappointing. With the third and last book of the series, The Aleppo Code, due for an October launch, I needed to get to work. December – Announce the name of the series – THE JERUSALEM PROPHECIES series; Promote the October launch of the third installment; create a giveaway offer for Conspiracy and promote it in Facebook posts and on website. January – Run a contest – What will be the section titles for The Aleppo Code? February – Additional clues for the section titles contest; Promote Kregel’s month-long Book Giveaway promotion on Goodreads.com. What Was I Willing to Do? 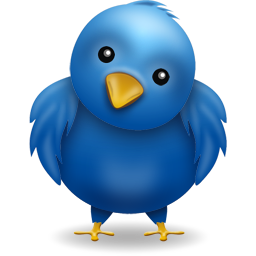 Look for ways to expand my marketing reach – Connect with other CBA thriller writers to cross-promote … Follow 10 journalists on Twitter … Follow 10 thriller writers on Facebook – friend them and follow them (all in progress). Begin sending personal messages to my 500-plus Facebook “Friends”. Ask them to “Like” my Facebook Author page and be a follower on Twitter. Write 50 posts per month for 10 months leading up to Aleppo Code launch. Get them all done at least 30 days prior to Aleppo launch, if possible. What Was I Asking Kregel to Do? There is no obvious link connecting the first two books into a series. I asked a lot from Kregel to help create that linkage. Create “Back Ads” in each book promoting the others … or add thumbnails of the book covers to the bottom of the back cover. I also asked Kregel to implement an E-Book promotion in February for both The Sacred Cipher and The Brotherhood Conspiracy. During an E-Book promotion in January of 2014, Cipher hit #2 and Brotherhood hit #6 in all E-Book sales on Amazon for that week. Wow! Let’s do it again. February 6th: Accelerating the Pace Down the Stretch. When I saw the marketing plan that Terry Brennan had put together for book #3 in his series, I knew others had to give it a long look. This plan has some remarkable forethought to it. It’s aggressive, thorough and … I think it’s going to work to help create awareness of his new book, as well as move copies of his previous book. If you’re a traditional or independently published author who has or will have a trilogy, keep this post handy. I’ve been fortunate and blessed to have two novels published and a third one on the way. The Sacred Cipher, published in 2009, has done well. It appears the book may soon go to a third printing and today, five years later, people are still picking it up – and posting their reviews on Amazon. 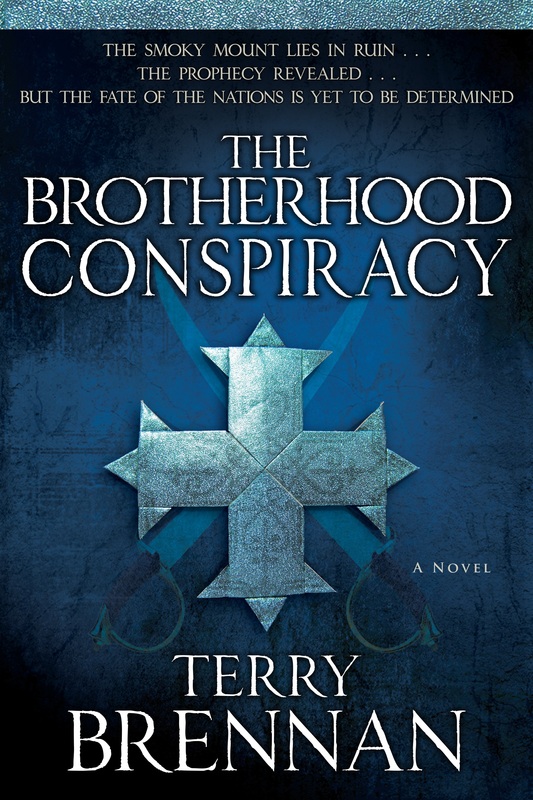 The sequel, The Brotherhood Conspiracy, was released in 2013. It got a great review in Publisher’s Weekly and better reviews on Amazon than Cipher. But sales have lagged. One reason is that I was very ill at the time of Brotherhood’s launch (I’m fine now, thanks). Another is that neither I, nor Kregel Publishing, knew this would be a three-novel series. It just started out as one book. So it wasn’t marketed as a series and Brotherhood hasn’t benefited from the “pull” that Sacred Cipher generated. Since I have a personal stake in the success of these books, and a lot of years invested in them, I want to do everything I possibly can to promote the increased sales of The Sacred Cipher and The Brotherhood Conspiracy, particularly in anticipation of the launch of The Aleppo Code in October – the third and last book of the series. How Do I Connect These Books? I created for myself an aggressive one-year marketing plan starting in December, 2014. The plan includes a month-by-month listing of what I will do to help accelerate the sales of the first two books, including a commitment to create a consistent social media presence, to produce a monthly newsletter (I have over 1,000 active email addresses in my mailing list) and to personally undertake a series of other marketing initiatives over the next year. I included in that plan some requests for Kregel to join in this marketing effort. The team at Kregel has been wonderful to work with over the past several years and I deeply appreciate all they have done to support and promote my books. It’s been a great partnership and, because of that relationship, I believed it was acceptable to include some requests for additional support from Kregel. What can we do to link the books together as a series to create some momentum and expectation in the short-term for The Aleppo Code launch next fall? And what additional promotional effort is realistic for Kregel to invest in marketing the first two books over the next twelve months? There’s No Harm in Asking! The Jerusalem Prophecies series title has been added to the ONIX data feed that Kregel provides to Amazon, Barnes & Noble, etc. for the book’s online pages and will be used in all promotions. Kregel will create an E-Book promotion for both The Sacred Cipher and The Brotherhood Conspiracy just prior to the launch of The Aleppo Code. Kregel will implement a blog-tour for The Aleppo Code launch – but they are also considering a blog tour that provides all three books for the reviewers, so they can follow the story arc of the series. Kregel will also run a “back-list” sales special for the first two books during the October launch. I’m told this is an unusual step for a publisher to take to invest promotional resources into back-list titles. Bless them that they did. Now it’s up to me to implement and fulfill the elements of the marketing plan. February 4th: What the first three months of the plan look like. Words aspiring writers want to hear. When it happened for me, at a writers conference, I first went off to a private place and cried happy tears. Then reality set in. I hadn’t written a thing. I only had an abstract idea, a desire to write, and a nudge from God. The publisher didn’t offer any guidance on how to format a book proposal; he simply told me to send one. When I got home, I got to work. The situation called for a marriage between prayer and practical actions. Shortly after I said, “Amen,” inspiration hit. I practiced while I studied. It took me almost two years to accomplish the task, but when I finished the one hundredth book, I was able to look back and see the transformation in my work. Only then did I gather enough courage to submit a few queries for articles. And though there were rejections, there was also success. After focusing on the craft of writing, I invested in the business of writing. If I wanted to author books, I needed help. I networked with other professionals and listened to their advice. I attended more conferences. I hired an editor to critque my work. And I continued reading beyond my first 100 books. I wanted to create a stellar proposal. After gleaning the best information, I practiced on my first topic numerous times. 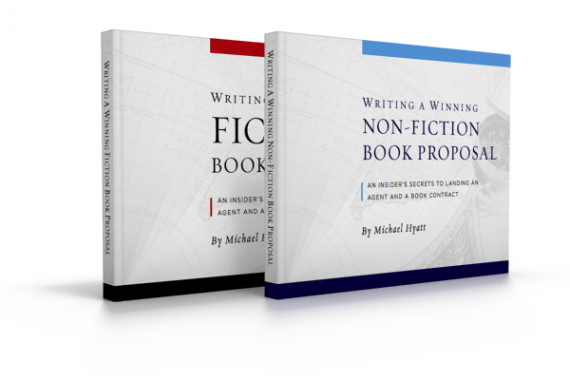 By the time I ran across Michael Hyatt’s e-books on Writing a Winning Book Proposal for fiction and non-fiction, I was ready to finalize my project. It took another year before I harvested any fruit from my labors, but harvest I did. WordServe Literary signed me based on that original topic. The hard work of crafting a writing goal and meeting it helped my agent sell my first book, scheduled for release in 2013. I’m a lifetime learner. Without the help of many willing to share what they learned through their books, I probably wouldn’t be writing today. What are your goals, and what are you doing to meet them?